For the balance of 2010, Canadian stock car driver Andrew Ranger will be packing his bags South to go racing in the East division of NASCAR's K&N Pro Series. Announced Friday April 23rd, Ranger will pilot the #35 Chevrolet for NDS Motorsports. Having competed in the Toyota All-Star Showdown at California's Irvindale Speedway on January 31th this year, Andrew Ranger announced that his venture South will be extended through the remaining 8 races on the 2010 K&N Pro Series East season. 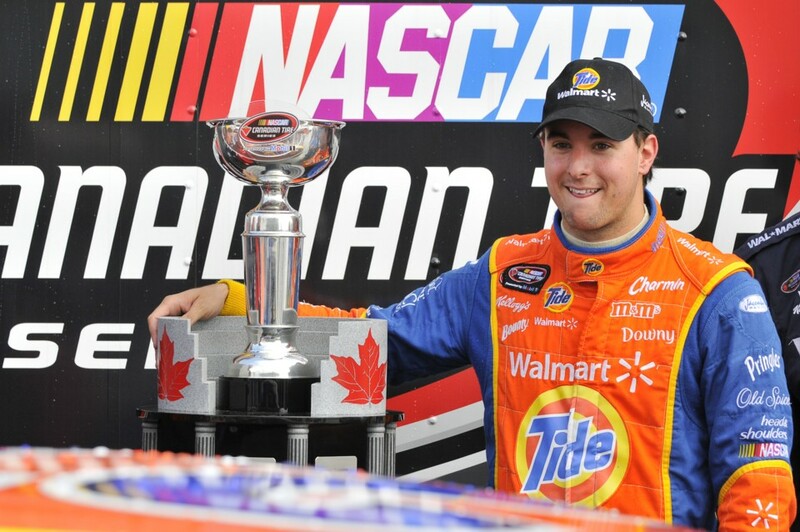 Winning the NASCAR Canadian Tire Series points title two of the past three years (2007 and 2009) tallying 9 career victories on the tour, 23-year old Roxton Pond, Quebec native Andrew Ranger has earned superstar status as a stock car driver in Canada. In 2006, Ranger chose after two seasons in the unstable Champ Car World Series to transition from agile but fragile open wheel cars to the heavier more contact-oriented sport of stock car racing. 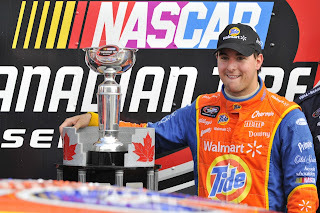 Beyond front-running efforts in the NASCAR Canadian Tire Series which resulted in 9 wins, At least 2 NASCAR Nationwide Series teams trusted the young Canadian to drive a vehicle in the second-highest echelon. Last year on the Circuit Gilles Villeneuve NASCAR Nationwide race in Montreal, Ranger led the race for 10 laps inside the #11 Toyota before delivering the car to a stunning 3rd place finish. Despite his podium performance, that was the only race Andrew Ranger was offered to run in the Nationwide Series for 2009. With plans to run the NASCAR K&N Pro Series East division, Ranger hasn't ruled out possibilities to run a limited Canadian Tire Series schedule for 2010. However, a quick review comparing series calendars leaves few opportunities for Ranger to compete in his home country to race this year. With many NASCAR Canadian Tire Series events running on the same race weekends as the K&N Pro Series East races, the best chances of seeing the reigning Canadian division champion could perhaps come on the road courses. Free weekends from the K&N Pro Series includes the June 13 at Mosport International Raceway, the streets of Toronto July 17th and the Edmonton City Center Airport race on July 25th. The September 11th round on the Barrie Speedway oval is also available. Interesting to keep in mind, one conflict date for Andrew Ranger occurs on the major NASCAR weekend on Montreal in late August. Scheduled to race at Gresham Motorsports Park on August 28th, it seems unlikely that Canadian Ranger will elect to miss this opportunity to shine on home soil; particularly after the show he provided in the #11 car in last season. Ranger's first race in the #35 Chevrolet for NDS Motorsports will come at Iowa Speedway on May 23rd.